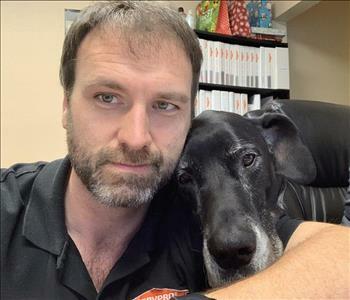 A valued team member here at SERVPRO of Brandon/North Riverview! Thank you for being a part of our team! Smile, not everyone gets to be Number ONE! We know our customers do when you complete a restoration task at their homes. Brian Jones is the proud owner of SERVPRO of Brandon / North Riverview and his team. The smiling Geri McClellan is our CSMR Commercial Sales & Marketing Rep with two of our Production Technicians behind her--Rome Tamayo and Scott Barfield. 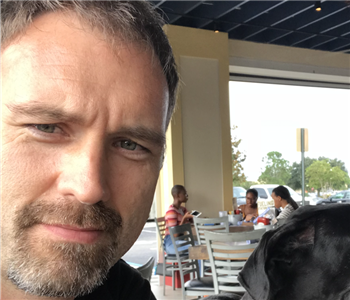 That leaves Angie Shepherd, our Office Manager along with Henry Jones, our Office Pup, the real boss of the operation. Our team is always ready to make you feel "Like it never even happened." 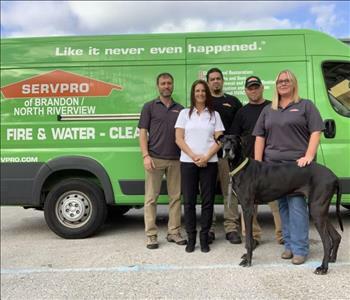 The SERVPRO of Brandon / North Riverview bosses, Brian and Henry, are owners who believe that two heads are better than one. 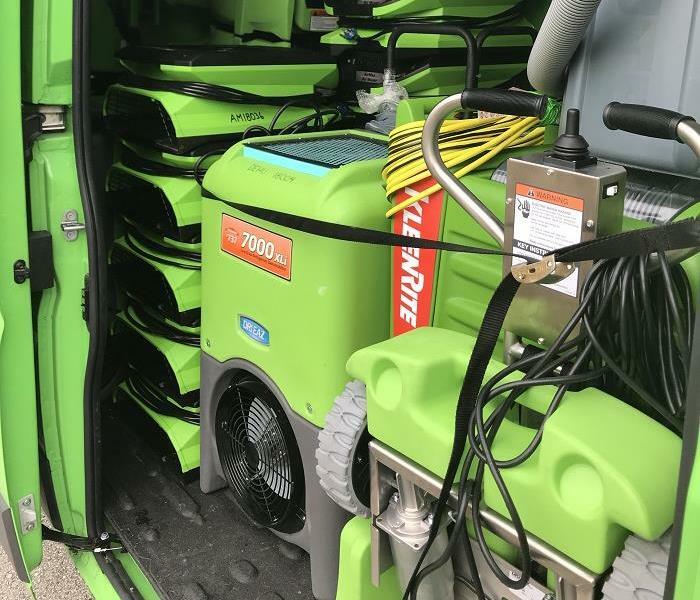 We take pride in being team-oriented, working as a unit, and offering our customers the best possible experience to restore their property to its preloss condition. Henry can stop by and relieve your stress with a friendly paw shake and a wag of his tail. 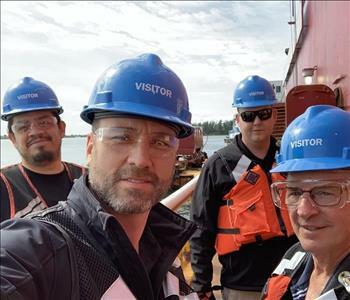 Brian Jones and "crew" are willing to tackle any water loss restoration project, on land or sea. We're Faster To Any Size Disaster. You will never have that "sinking" feeling after we help clean up and restore your property, "Like it never even happened."